I'm french and a detectorist ! I have found this badge ! Could you say me more about it ? First or second world war ? Excuse me for my english ! 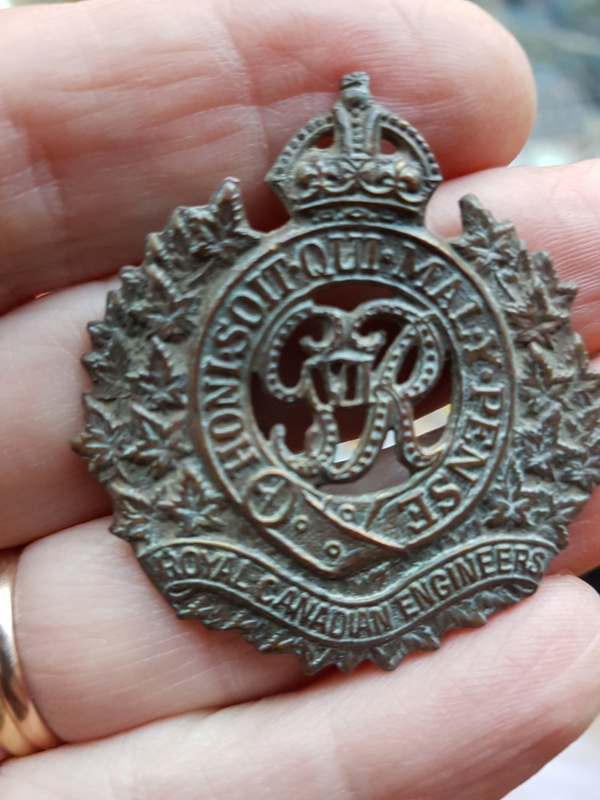 Your badge is from THE ROYAL CANADIAN ENGINEERS. Note the "VI" in the middle, it is for George VI. The badge can then be dated 1937 to1952. A canadian soldier lost it during the 2nd world war in France !